Games Convention Online, the mobile and browser-based show intended to fill the void left by the demise of the Leipzig Games Convention, has fallen victim to money woes. In its day, the Leipzig Games Convention was a beast, attracting 547 exhibitors, 3800 journalists and 203,000 visitors in 2008. That was also the year that its days came to an end, however; in 2009, Germany's association of game publishers launched a new event, GamesCOM, in Cologne. Left with a huge hole to fill, trade fair organizers debuted Games Convention Online, an event dedicated to mobile, browser-based and social games. "The Games Convention Online will host tens of thousands of visitors in Leipzig, and several million in the whole world," Leipziger Messe CEO Wolfgang Marzin said at the time. Alas, it doesn't appear to have worked out quite that well. "The day has come for GCO to say goodbye," organizers revealed on the GCO site. "Despite your fantastic support over the last two years, we have been unable to put Games Convention Online on a firm financial footing. The ideas and topics we created together were innovative and we certainly had the right thoughts as far as the development prospects of online games were concerned." "Unfortunately, in the end, the idea on its own didn't suffice to organize an economically successful trade fair and congress," the message says. "The Leipziger Messe will naturally continue to provide a platform for young innovative branches of industry, but this needs to be supported and developed by the majority of the industry concerned. Despite all joint efforts, we were still unable to achieve this. We would like to thank everyone for their exceptional collaboration, loyalty and confidence." 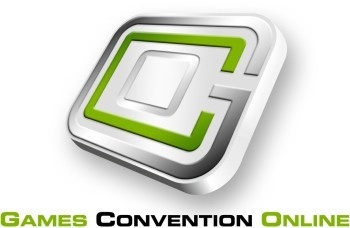 The 2011 Games Convention Online was slated to run July 7 and 8.